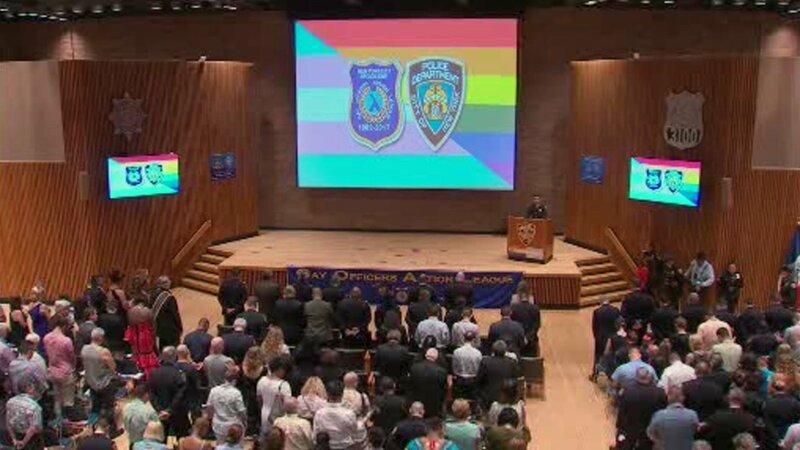 NEW YORK (WABC) -- New York City's top cop and straight ally of the city's gay community celebrated pride Wednesday night with the LGBT members of his department. Commissioner James O'Neill attended the Gay Officer's Action League Pride Celebration in the auditorium of One Police Plaza. Commissioner O'Neill said to him pride means openness, inclusion and the freedom to live your life on your terms.